Sharon Hoffman Avent is President and CEO of Smead Manufacturing Company, a leader in office filing products and records management solutions. For more than 100 years, Smead has brought a spirit of innovation and integrity to keeping businesses and home offices organized. Headquartered in Hastings, Minnesota, Smead is recognized as one of the largest privately-held and one of the largest women-owned companies in Minnesota. Smead has been 100% woman-owned since 1955 and is certified nationally as a Women Business Enterprise. Avent joined the family-owned firm in 1965 and held a wide variety of roles throughout the years. In 1998 she was named President and CEO, succeeding her mother as the third generation of the Hoffman family to lead the global company. 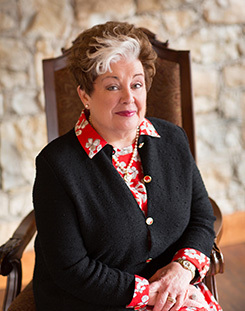 Avent has been dedicated not only to the continuing success of her company, but also her community. She has served on the boards of Minnesota Historical Society, Regina Healthcare, Shattuck-St. Mary’s School where she was recently named Trustee Emeritus, and she is President of the Hastings Public Schools Foundation. She has been honored with many awards for her public service including the “Building Bridges, Building Futures Award” from the Hastings Public Schools and the “Spirit of Hastings Award” from the Hastings Chamber of Commerce. Most recently, Smead was the lead donor in the Capital Campaign Drive that succeeded in building a YMCA in Hastings. Of her many awards, she is most proud of being presented the prestigious “Spirit of Life Award” by the National Office Products Industry for her work with and support of the City of Hope, a world-renowned cancer research and treatment facility in California. She was the first women to receive this honor in the office products industry. Mrs. Avent and her husband Terry have two sons and four grandchildren. An avid horsewoman, Avent has been showing horses in competition since 1964, and won a World Grand Championship in 1998 with her horse, Executive Order.